Those who are vegan or lactose intolerant have most probably heard of the dairy-free cheese called Sheese. 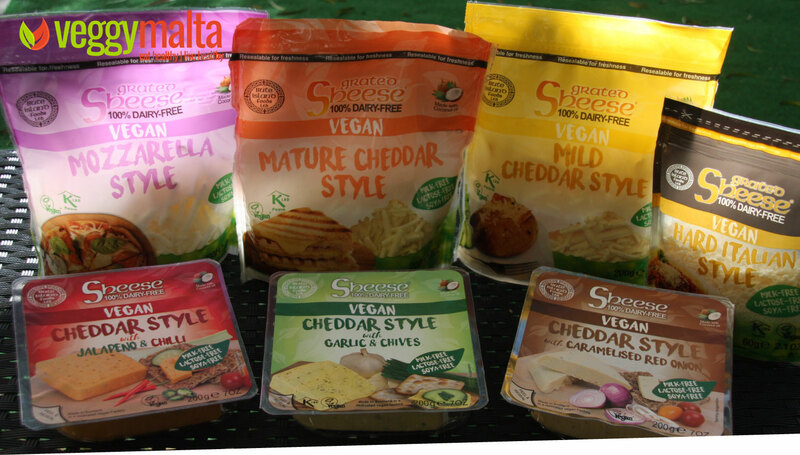 In fact some time ago we had reviewed on VeggyMalta a few products from the Sheese range. 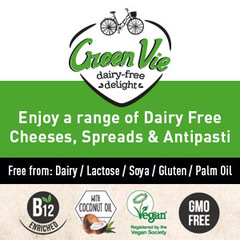 Since then the Sheese range has grown, as has grown the demand and appetite for good dairy-free vegan cheeses. The dairy-free and alternative cheese market is clearly growing as more brands enter and the ranges continue to grow. What was once a small section in the refrigerated sections of supermarkets and shops is now growing bigger. Which only means that the demand is growing as well. Sheese is made by an English company Bute Island Foods Ltd, which explains why their range is so extensive on the Cheddar style cheeses (which I guess suits us Anglophile Maltese fine). Though you will find your Gouda, Edam, Greek and Red Leicester style cheeses in the range along with the most important mozzarella style cheese to add to your pizza! The range is made from coconut oil and is now also soya free. Needless to state, it is obviously lactose free. I tried all three Cheddar style blocks as an excuse for an afternoon snack 🙂 . You can make a nice vegan cheese platter with these, as all three have a totally different taste. In fact I cut up some small wedges and took them with some galletti. I chose not to add anything else apart from the galletti to savour the taste of the cheese, yet nothing stops you from shopping some cucumbers, cherry tomatoes, walnuts, fruit and you may add some Sheese spread on as well. 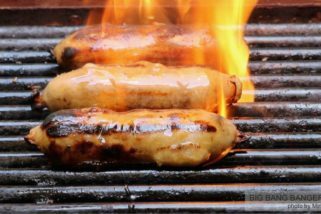 The Jalapeno & Chilli is just the right amount of spicy and the mix with the cheese provides a bit of a pleasant tang. The orange colour of the block gives it a mature cheddar look. On the other-hand the Garlic & Chives also has a rich strong taste yet in a non-spicy way. Again the taste of the garlic is not overpowering. I would state that out of the three the Caramelised Red Onion is the blendest and if you wish a cheese that doesn’t overly dominate what you are adding it to, this might be a better option. Separately, I tried out the mozzarella style shredded cheese on my home delivery pizza given that I ordered my pizza red (no mozzarella). I sprinkled the Sheese mozzarella and put it back for a few minutes in the oven enough for the cheese to melt. It makes all the difference especially if you are used to a pizza with mozzarella and the Sheese mozzarella does the trick. The product is available in three main formats. In spreads, in blocks (also sliced) and ready grated in resealable bags. Being spoilt for choice you can have different Sheeses for different foods whether it is a slice with your bread, or toppings on your pizza or pasta, or in any manner you would use traditional cheese. One of the mistakes that many individuals do when switching to dairy-free vegan cheeses is to compare it with traditional cheese. Before you choose to switch to vegan cheeses, I would suggest to have a short break from dairy cheese and then start consuming. Also you should give yourself for some time to adjust to the change. It doesn’t take long, and after a few weeks you will no longer have the same cravings for dairy as before. How much do these dairy-free cheeses cost? Hello, from where i can buy sheese or other dairy free products please? Hi Trisianne, in Which locality do you live … to better guide accordingly.